Tinhorn Creek Vineyards is pleased to announce that their Canadian Concert Series is returning for 2015 with a stellar line-up of musical artists gracing the picturesque amphitheatre stage, including Yukon Blonde, Rich Hope & His Blue Rich Rangers, the John Welsh Band and Reuben & The Dark. The much-anticipated annual event is a rare opportunity to see some of Canada’s top musical talent while enjoying award-winning wines and taking in the spectacular views of the South Okanagan Valley. 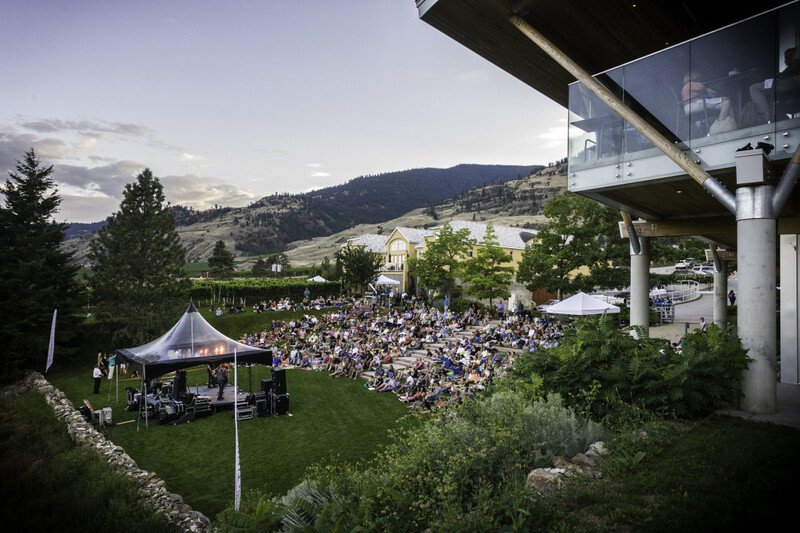 New for 2015, Tinhorn Creek Vineyards is partnering with The Watermark Beach Resort to provide a preferred rate for those attending the Canadian Concert Series, which is perfect for out of town guests looking to experience the beautiful South Okanagan. The promo code is simply: Tinhorn. Guests who book this rate will also receive a complimentary bottle of Tinhorn Creek wine upon arrival to their suite. Tinhorn Creek’s outdoor amphitheatre sits atop the winery’s hillside overlooking the famed Golden Mile and is a one-of-a-kind venue for dancing the night away under the stars. Kicking off on May 23, the 2015 Canadian Concert Series features Rich Hope & His Blue Rich Rangers ($30) bringing their unique brand of blues and rock to the stage. OnJune 27 the John Welsh Band ($30) will grace the stage with his songs inspired by his travel experiences which blends elements of folk, surf rock, reggae and latin followed by Calgary’s Reuben & The Dark ($40) on July 25 playing anthemic indie music that features finely-textured harmonies. Then on August 22 Kelowna’s own Yukon Blonde ($45) will be jamming in the vineyard with their quintessential brand of indie music. Perched on the picturesque Tinhorn Creek Vineyards estate, the award-winning team from Miradoro Restaurant will also be preparing BBQ food options for concert-goers during performances. Tinhorn Creek wines will also be available by the glass or bottle. Each event features a pre-concert reception for Crush Club members.